After discovering a number of faulty 3TB hard drives used in certain 27-inch iMac computers, Apple has announced a replacement program that will see potentially broken components swapped out for new ones. The Cupertino company, which has published a support page for this very issue, has confirmed that specific 3TB hard drives “may fail under certain conditions,” and that the issue affects certain 27-inch iMac models sold between December 2012 and September 2013. 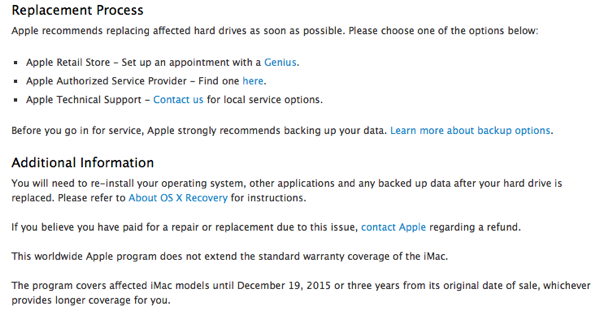 The dedicated support page, which was updated just yesterday, does confirm that either Apple itself or an Apple Authorized Service Provider (AASP) will happily replace the potentially faulty hard drive free of charge. Apple is also proactively contacting consumers who purchased an affected machine and provided a valid email address at the time or purchase to inform them of the replacement strategy. As you might expect, considering the amount of personal and sensitive data that is often stored on hard drives, Apple is recommending that those who are, or who could be affected, by the faulty hard drive go through the replacement procedure as soon as possible to minimize the chance of the component actually failing and providing a risk to data. Consumers can invoke this process through an Apple Retail Store, via an Apple Authorized Service Provider (AASP), or by contacting the Apple Technical Support line directly for further guidance and clarification. If you own a 27-inch iMac that was purchased between the aforementioned dates, and feel that you have a faulty 3TB hard drive, then Apple also offers a handy little serial number checker on the support page (link in source below) to ascertain whether or not your iMac is covered by this program. 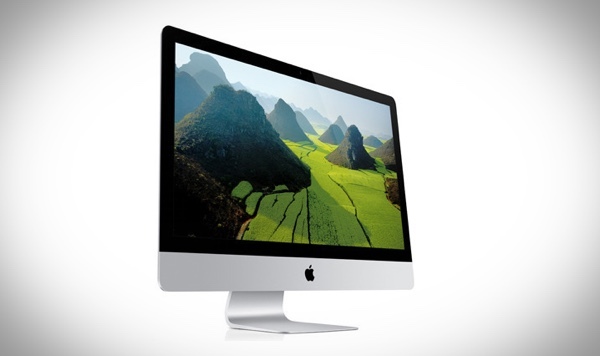 iMac owners are simply invited to locate the serial number of their machine and then enter it via the support page and hit “Submit” for more information. Act quick though, as Apple is only offering this replacement program until December 19, 2015, or until three years after the original purchase date, whichever is longer.